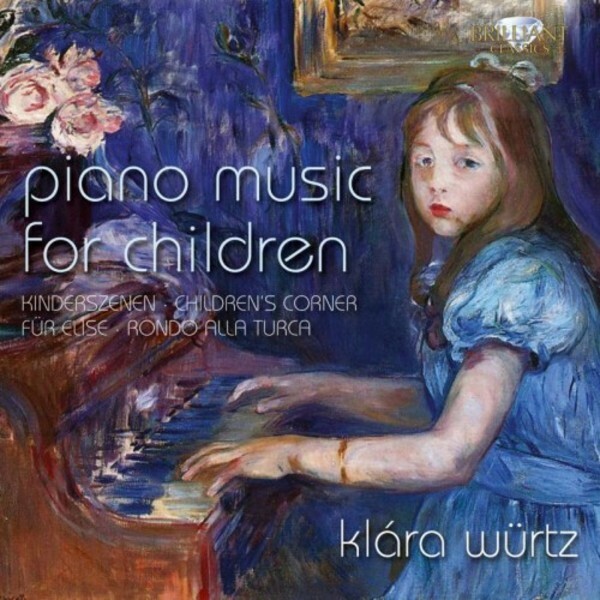 This CD is a reissue of one of the most successful Brilliant Classics recordings, 'Piano Music for Children', a simple and powerful concept aimed at a wide audience of music lovers, teachers, parents, grandparents and (of course..) children. Included are the popular Kinderszenen by Robert Schumann, Children�s Corner by Claude Debussy and a selection from the Album for the Young by Tchaikovsky - and not forgetting the most iconic work for a child ever written: Beethoven�s F�r Elise. Hungarian pianist Kl�ra W�rtz plays with a natural, direct expression, warm and communicative.